In herbal medicine we use the roots of Withania, a small shrub that grows from 30-70cms tall in hot, dry places in the world, especially in India where it is one of the most widely used and revered of all traditional Ayurvedic herbs. It is commonly said that Withania is the single most important herb in Ayurvedic medicine (the chief medicine of India), itself a system with written records that go back thousands of years and an oral history that goes back at least 5000 years. 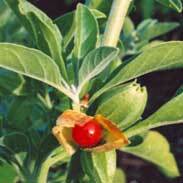 Sharol Tilgner writes 'In India, Ashwagandha (Withania) is thought to instil the vitality of a horse to the consumer. The adaptogenic and tonic effects are best suited to people who are debilitated or exhausted while agitated or under stress. 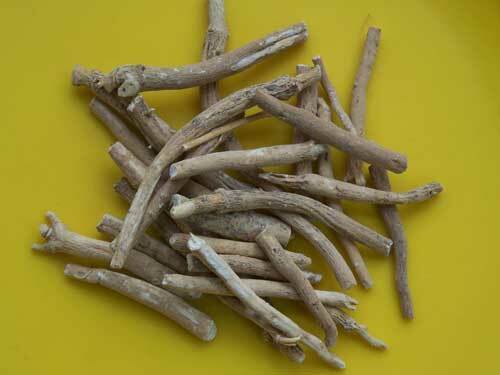 The root is used for nervous exhaustion, stress-induced health conditions, anaemia with emaciation, impotence with aging or due to stress, chronic inflammation depressed white blood cell count due to cytotoxic drugs and cognitive function deficits including those with aging and hypertension' Tilgner recommends doses of a tablespoon of dried root to a cup of water or 1-3 mls of the fluid extract. Despite being used by millions of people for thousands of years there are no adverse reactions or effects reported or expected for this herb. Withania is extremely safe to use in high or frequent doses if necessary and may be taken by the young or old, whilst pregnant or during breastfeeding with confidence. Withania somnifera, like Ginseng, is a rather humble looking shrub but what goes on in those roots has a remarkably complex personality. Withania sings you a lullaby when you first start getting to know it. People sleep better, they feel less irritable and it takes more to get them upset. I notice that people look a little younger after a short while of taking Withania and I guess this is because they are frowning less and smiling more! What happens after a while (usually about a week, maybe two) is then that Withania starts waking you up! This is where the increased sexual energy may start to come in and people feel like doing more in general. I hear people say things like they feel more motivated and have been getting more things done. This is a sign of a true tonic effect, first it relaxes you, then it turns around and starts energising you. I think that this is why I find it so helpful in clinical practice where many of my patients have been ill for a long time. The increased sleep and relaxation that Withania generates moves the healing process forward, then the tonic effects kick in and as they start doing more exercise or just moving more in general they start accumulating savings in their 'energy bank' rather than getting further depleted. Children do well on Withania, they eat more and get noticeably stronger and more resilient if they keep it up for a good while. People in their 60s, 70s, 80s and beyond also do very well on Withania and, so long as they keep taking it for long enough, you see a consistent renewal of vitality and improved health. That said, the majority of the people I have given Withania to have been working adults and, for many, Withania can be the key ingredient to getting de-stressed and having more energy. In many cases, I could no more imagine treating people's tiredness without Withania than I could treat immune problems without Echinacea. 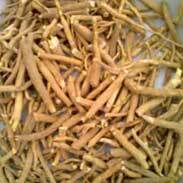 On a related note, I think it is the single most important herb to help a person with a low thyroid function. The improving numbers (from lab tests) speak for themselves when you use plenty of Withania to help; because it obviously works. I don't think there is one right dose of Withania that is right for everyone, but I do think that this this is a herb that can be used in large amounts to get a rapid effect on anxiety, insomnia or fatigue and I recommend the traditional method described below to get a big dose quickly when needed. 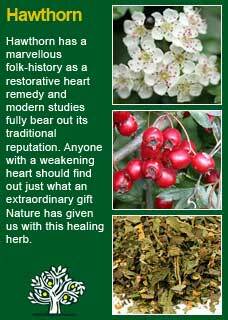 I use a great deal of the Withania extract that we make in our clinic from raw, organic herb. Doses of this range anywhere from about 2 to 8mls in a day. 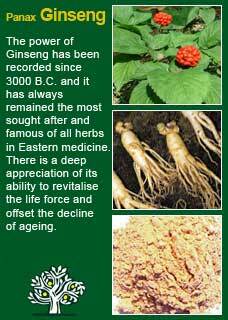 For longer term use I give a lot of capsules of Withania and Panax Ginseng. We supply the raw herb (so I know it is the right stuff) and we get the encapsulating done by a local company and people usually take around 4 of these capsules a day, The thing with Withania is that you need enough of it for the steroidal saponins and other beneficial constituents in it to work, but once it is having an effect you won't necessarily get more benefit by taking larger amounts. The way to get the most from it is to simply use it patiently and for as long as you need its support. Withania combines perfectly with Panax Ginseng and Licorice root for fatigue or exhaustion, with Echinacea for a depressed immune system and with Hawthorn for a lack of physical vitality and heart strength. Take 1 heaped dessertspoon of cut Withania root and place in a small saucepan with about 1 ½ cups of milk (or a combination of milk and water). Add at least one tsp or more of raw sugar (or honey) to taste and also add a small sprinkle of black pepper. 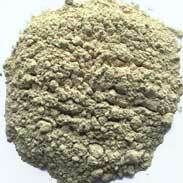 You might like to try adding a small amount of Cinnamon powder as well. Bring this mixture to just about boiling and then keep stirring on a gentle simmer for several minutes or until nearly half a cup has been absorbed into the root or evaporated. Take off the heat, strain into a cup, and drink. 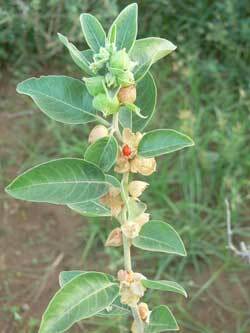 Much of the information here about the traditional uses of Withania is consistent with the model of thinking whereby one may treat problem A with plant B. There is value in this approach in how it helps us pass on useful knowledge to one another but where it falls short is that people are not all cut from the same cloth! Withania might work brilliantly for one person but less well for another with the same kind of symptom picture -- why is this?